We're Awakening! : "Mess of Me" purchasable single? "Always" single? 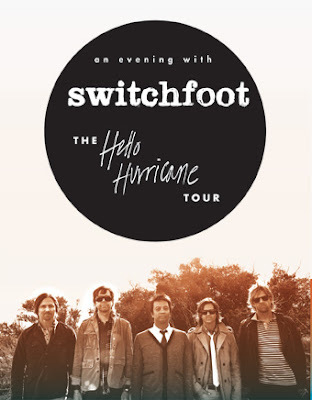 Switchfoot, Hello Hurricane, Switchfoot, Hello Hurricane Tour, Switchfoot, Hello Hurricane! "Mess of Me" purchasable single? "Always" single? Switchfoot, Hello Hurricane, Switchfoot, Hello Hurricane Tour, Switchfoot, Hello Hurricane! ^There was my lame attempt at a clever title for the day… blechh. Anyways… hello! We've got lots of news for you today! Let's tackle these, one by one, shall we? "Sure is! The band is actually working on a new version of the song…SO excited! look for it in a couple of weeks." ^Oh sweet! A new version... I wonder if this is a radio edit or a straight-up album version edit. We have found "Mess of Me" single artwork! Also, it will be available for digital download purchase on September 29, 2009, according to Amazon. That's impact day! EMI CMG, the other half of the promotional powerhouse team that will unleash "Hello Hurricane" upon the world, posted a blog about "Mess of Me," which is going up for Christian Rock adds tomorrow. They also have a link to a new "Making of Hello Hurricane" DVd promo. Now, whether or not it works is yet to remain seen. I've tried countless times on my machine, and it has not worked. But others have reported better success with it. The first single “Mess of Me” just released to Christian ROCK radio. It goes for adds on 9/25! ^If you can't view the video, ShineFM tweeted that they had an audio rip of it for your perusal. ^Am I the only one who has fallen head over heels in love with "Always?" 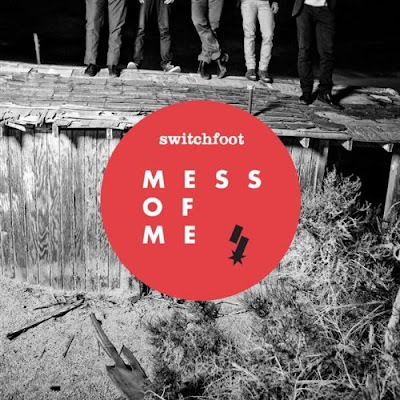 Overall: Switchfoot’s debut set the stage for an impressive career and it’s a must-own for any fan of the band. Even those who are only familiar with their later work would do well to see where it all began. There’s a raw energy of their youth here and sometimes it is just fun to see where a band began. Whenever I spin The Legend of Chin I immediately get in an upbeat mood and listen intently for the great bass grooves and the lyrical play on words. It’s an entertaining listen and that’s how music should be. Continuing with the big-time press coverage, Switchfoot's "Hello Hurricane" release has been featured on the nationally renowned newspaper, The Los Angeles Times. Here's an updated Tour poster for the Hello Hurricane Tour. The Hello Hurricane Fall Tour is coming! We are playing some of our favorite venues across the country as an "An Evening with Switchfoot." We will be playing Hello Hurricane from start to finish, as well as some of our favorite songs from our past albums and a few surprises! If you are a FRIEND OF THE FOOT or if you preordered the album, you will be emailed a code for the presale. All presales start Thursday September 24th. If you are a FOTF or preordered the album you will be sent the presale link on Thursday Sept 24th. For general onsales, we will be posting this information on our website on Friday Sept 25th. Actually I think I might be also starting to fall deeply in love with 'Always'. Can't wait for that to release to Christian radio and the CD! thanks for checking out our little blog. TOTALLY appreciate your site. ya'll are killing it for switchfoot! really grateful for the support. @josh, hey thanks for answering our questions! Thanks for keeping it real! The hurricane's comin'... can't wait!